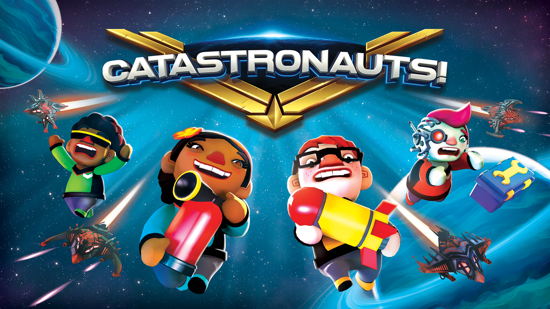 Catastronauts is a chaotic couch co-op experience that sees 1-4 players assume the role of an intergalactic star fleet locked in an epic battle with an invading enemy vessel and unrelenting disaster. Coordination, cooperation and decisiveness are of the utmost importance in this riotous party game, as multiple tasks need to be simultaneously dealt with across the deck - systems need repairing, blazing fires need to be extinguished and the torpedoes need to be armed. Do it swiftly, and try not to kill your friends in the process!